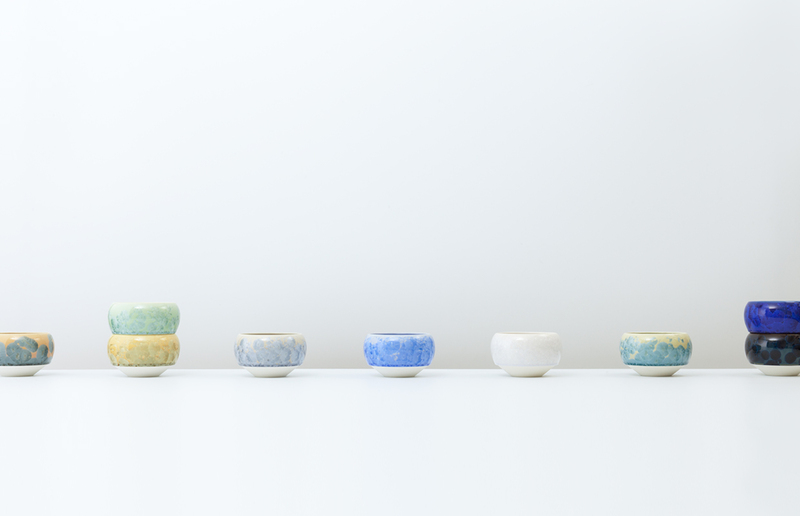 Cups and bowls created using the glaze for Kyoto's Kiyomizu ceramics known as hanakessho. 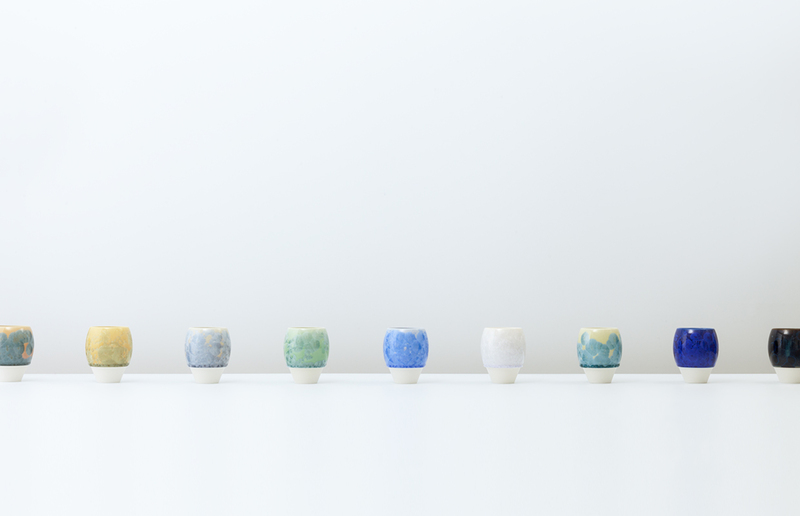 The metal included in the glaze crystallizes during the cooling process and creates a beautiful pattern. Turning the glaze's propensity for dripping to advantage, the drips created by the glaze become an accent when they overlap. 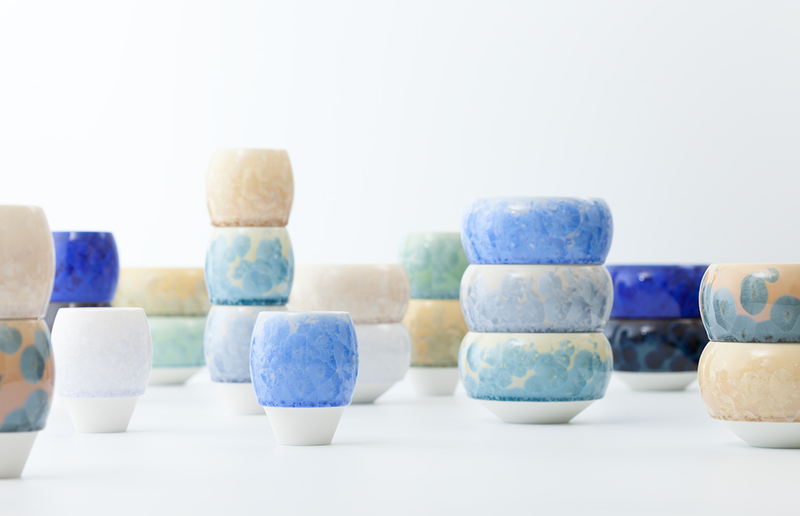 By layering the glaze, a number of beautiful color variations can be enjoyed.